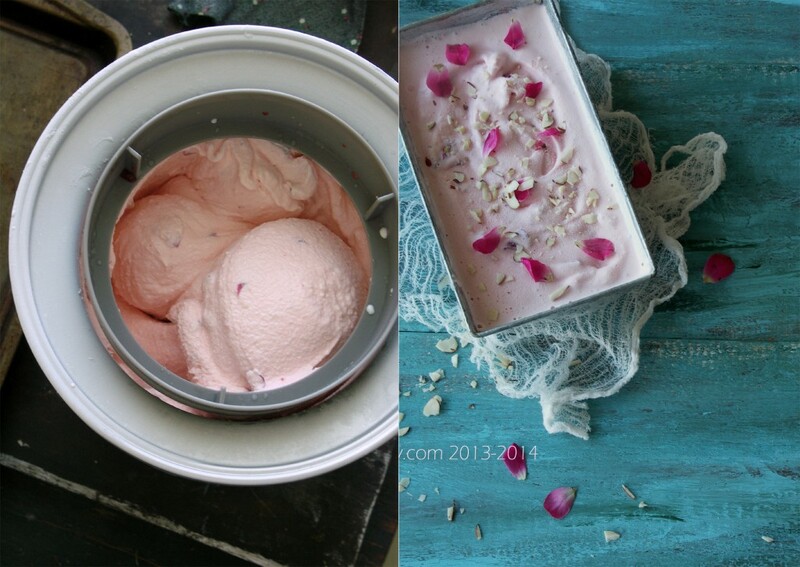 Late afternoons of my very Indian summers were spent scraping out ice creams from metal containers. I would set ice creams early in the morning or the night before. What I would call ice cream would be frozen juice, or Rasna Cola or anything as simple as fresh summer fruits like watermelon or mango. Somewhere between three and four in the afternoon when I woke up from a lazy nap, the ice cream seller rolled his cart down the road. Only we were not allowed to buy any of that ice cream from the street vendor. This was our way to our gratify our cravings on those hot afternoons. Either the scraped out ice creams from the metal container or a tall glass of drink. Sometimes maa would make watermelon juice with chunks of watermelon in them, some days it would be mango or chilled lychees. For other days there was be Rooh Afza. 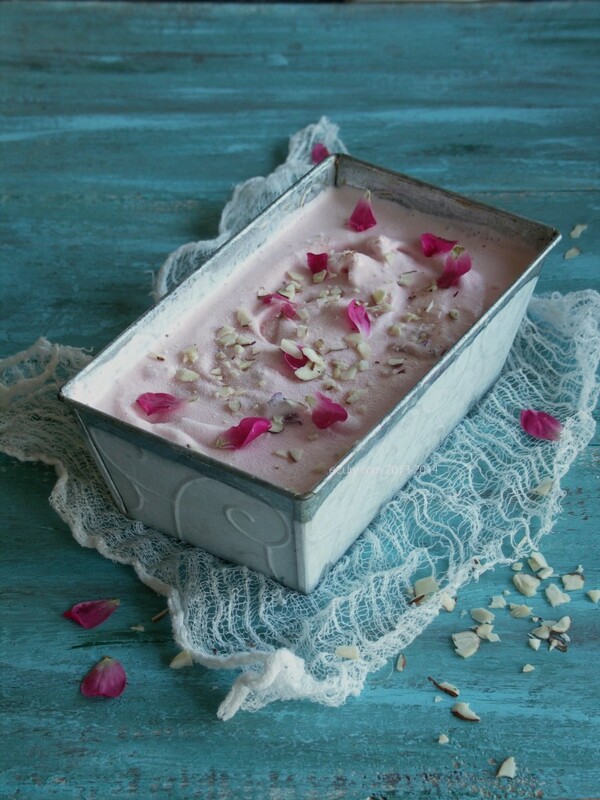 Rooh Afza is a syrup that sweetens and cools the summers of the Indian subcontinent. It is officially known to “refresh the soul”. 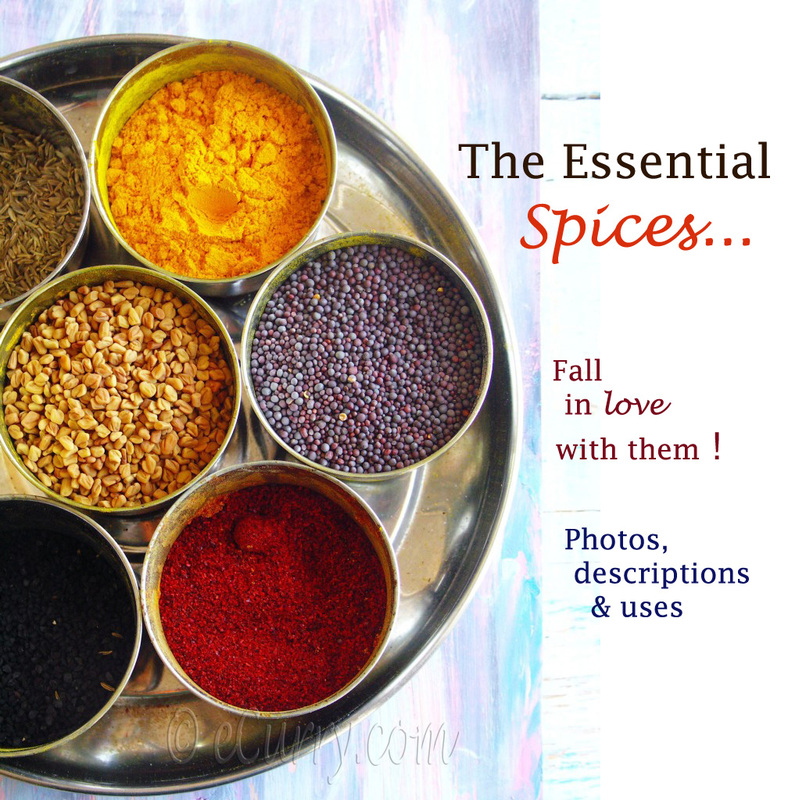 With a beautiful mingling of fruity and floral scents and a lace of herbal taste, it is could be as well called the “enchanter” of the hearts. 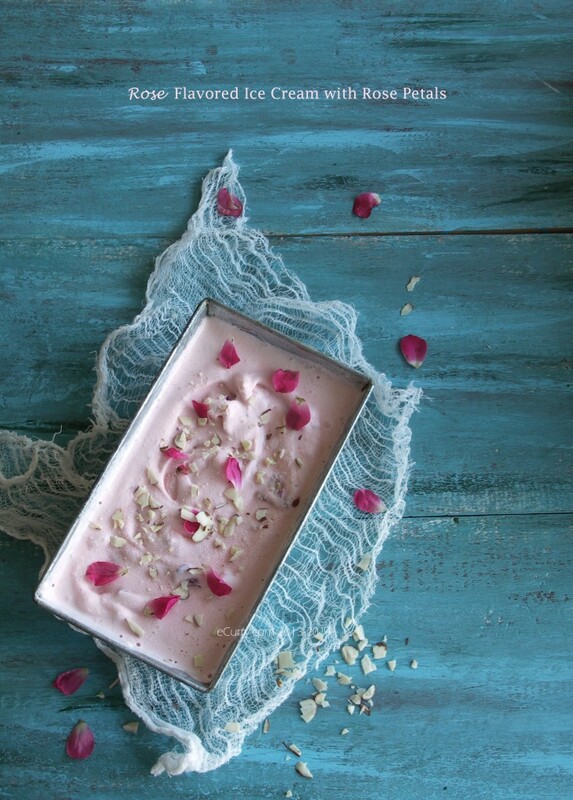 It is for a reason that the Indian summers are painted with this pink rosy syrup. It is not just the deep red and the flavors it has to offer, the herbal ingredients in it also act as a cooling agent for the summer heat. Perhaps the very ”enchanter” quality of rose cast spell on A and me. 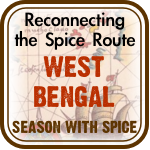 We sat on the benches under the whirring fan in Ralli’s, in Esplanade Kolkata. When the sun beat down on the roads and we were tired of walking around no where, lost in ourselves, dreaming our dreams, we would have walked into this place and cooled ourselves down over glasses of rose flavored drink in tall glasses filled with ice shaved from an enormous block that rested on a burlap on the floors of the inner courtyard of the restaurant. Or some days when we could afford it, we would order Kulfi and Falooda, that was served with a good drizzle of the rosy red syrup. There is something oddly refreshing about this old place. Life was good and taken care of. Some good friend called out “proxy” in Mr. Ghosh’s class in St. Xavier’s College, where I was supposed to be at that time leaning on broad, old wooden benches concentrating on Beowulf or Canterbury Tales. 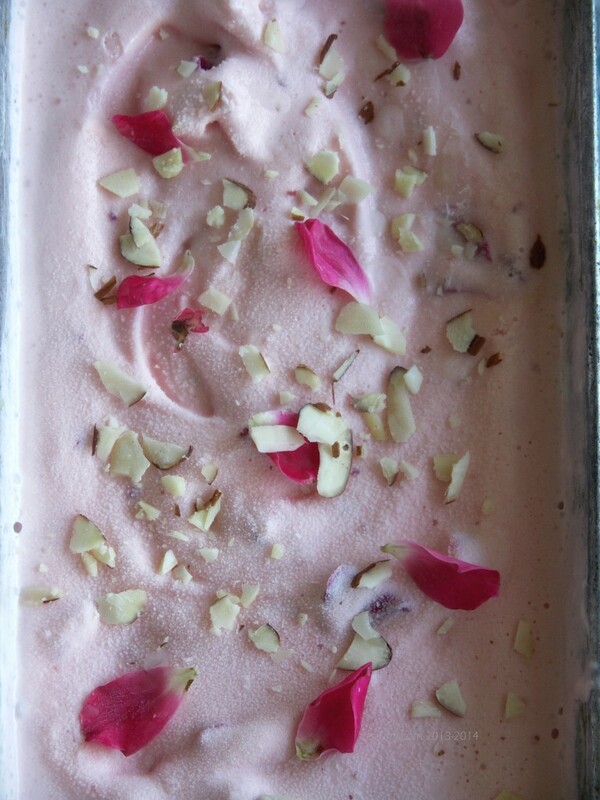 Instead I was at Ralli’s, scooping on the rose syrup drizzled kulfi with A: making the best of my summer. Rose is the sweet flavor of summer. Of love and of dessert. We lined up at the gelato corner the other day. I peeked while I waited, to see what I wanted and I saw this beautiful pink sprinkled with deeper pink sugar crystals. It was Rose. I heart leaped. 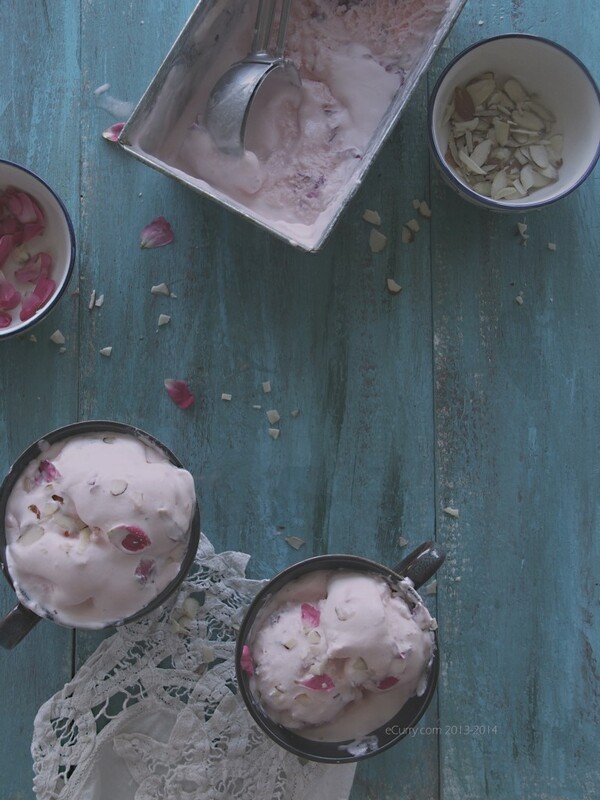 Slowly churned cream with the oriental flavors of home…My Indian summers held hands with summers in North America. As we sat enjoying our ice creams, and A took a fond bite off the mound of the pink rose, he casually said that we should be making rose ice cream. Why not? The roses are blooming, a bottle of Rooh Afza is on the shelf and it is summer. Combine rose petals (make sure the flowers are not sprayed on, they are organic and well washed) and sugar; Give it good shake, cover with plastic wrap and allow it to sit in the refrigerator for about thirty minutes. Simmer cream/and half and half, rose petals, sugar and the coarsely crushed nuts for about 12 minutes. Chill this mix. 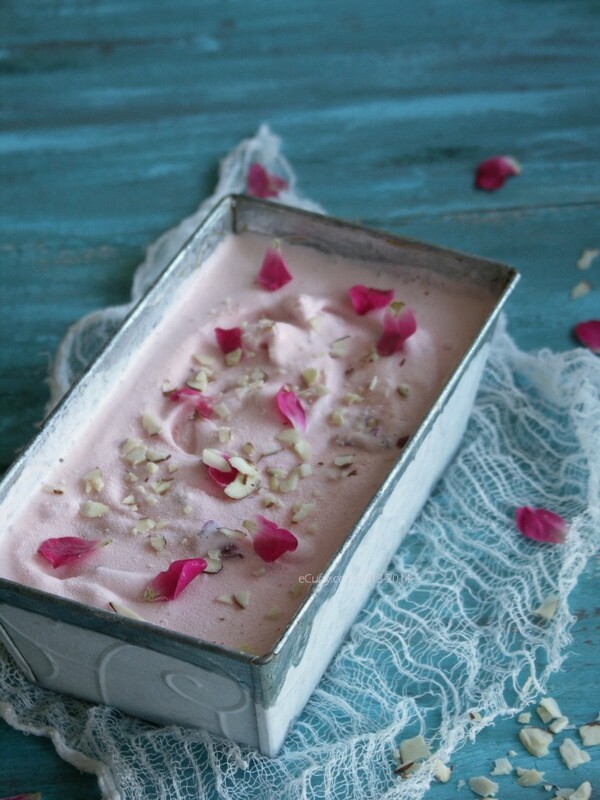 When ready to make the ice cream, combine with the Rooh Afza, rose water and with the chilled cream in the ice cream maker and follow instructions of the ice cream maker. You might want to adjust the sweet/sugar at this time. Chilling the ice cream will make it taste a little less sweeter than in unfrozen form. So do adjust accordingly. Add the lemon juice and churn for 5 more minutes. Freeze for at least 6-8 hours. 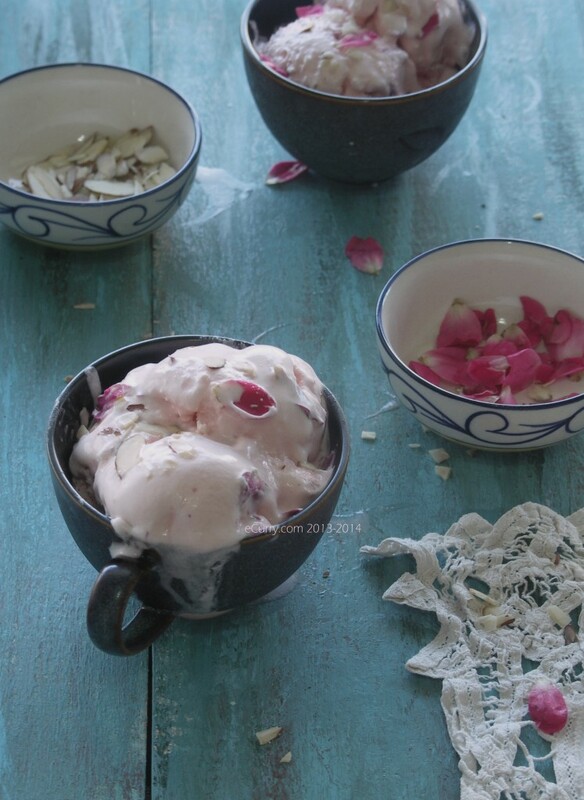 If you do not have an ice cream maker, simmer the cream with rose petals and sugar as mentioned above. 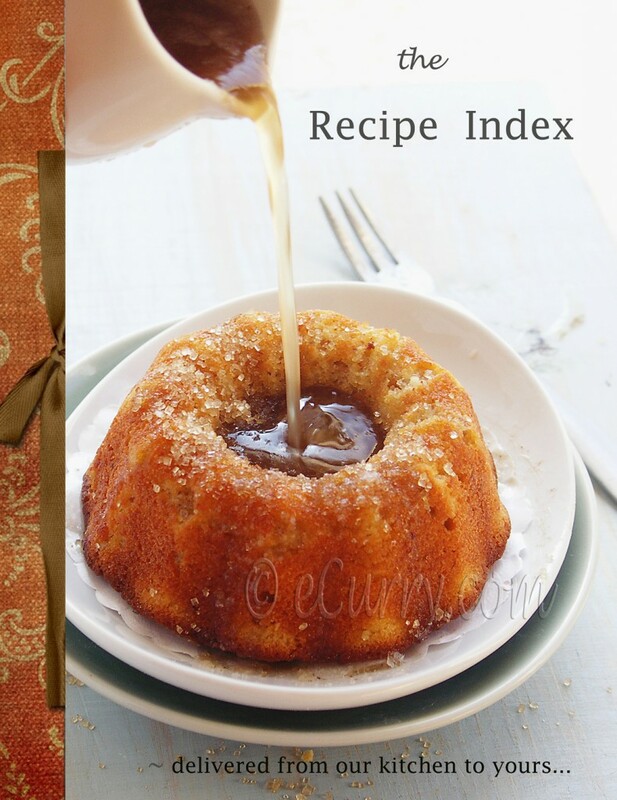 Chill the mix and then fold in the other ingredients and stir gently until the syrup evenly mixes with the cream. Stir in the lemon juice and freeze. When partially frozen, take it out and whisk it again to break up the ice crystals. 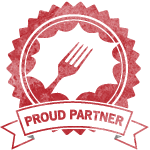 Freeze until ready to eat. 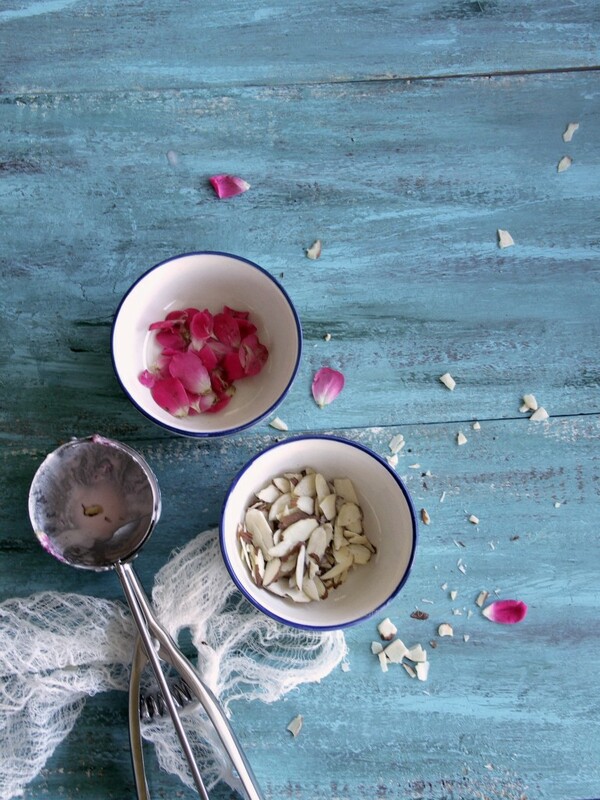 Garnish with nuts and more rose petals before serving. Delightful! A heavenly ice cream. That looks (& I am sure tastes too) absolutely divine! The 2nd shot from the top has gotta be my favourite of this lot. Where did you buy rose petals? It looks so elegant and beautiful. The petals are from the rose bush in our yard. We do not spray the bushes, so we use them in the kitchen! Beautiful Soma..Love the icecream and your pictures. It’s nice that you’ve used rooafza.. I found my ice cream machine! Now I have to see if it’s still functioning, right??? 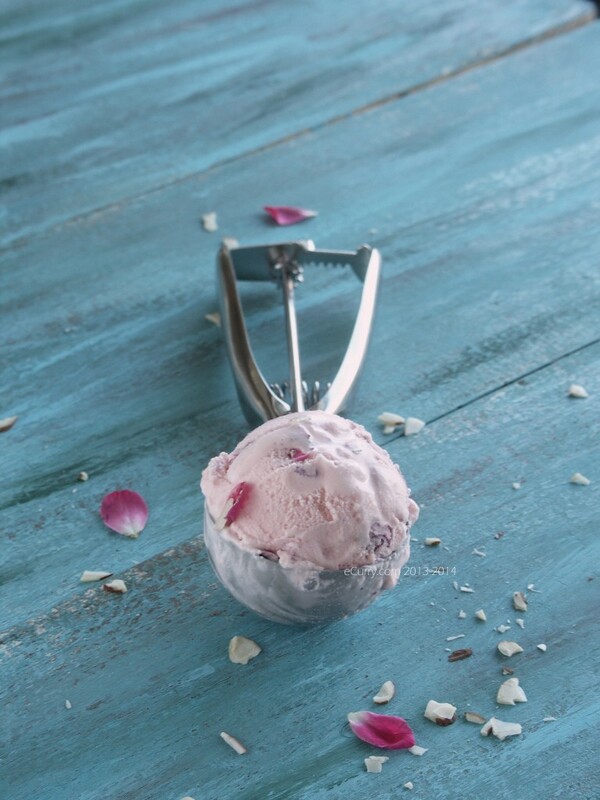 Any excuse for ice cream…..
Every time a see an ice cream post, I scream….I couldn’t convince myself to make one this summer. I was telling my husband the other day about freezing rasna in the ice tray and then eating them like ice creams. Sometimes my Maa will dissolve sugar in milk and then freeze it…that was the best treat for us. I buy dry rose petals from an Iranian store and they smell heavenly. I was never a big fan of roohafza though. Wow, very pleasing colours and nice photos! 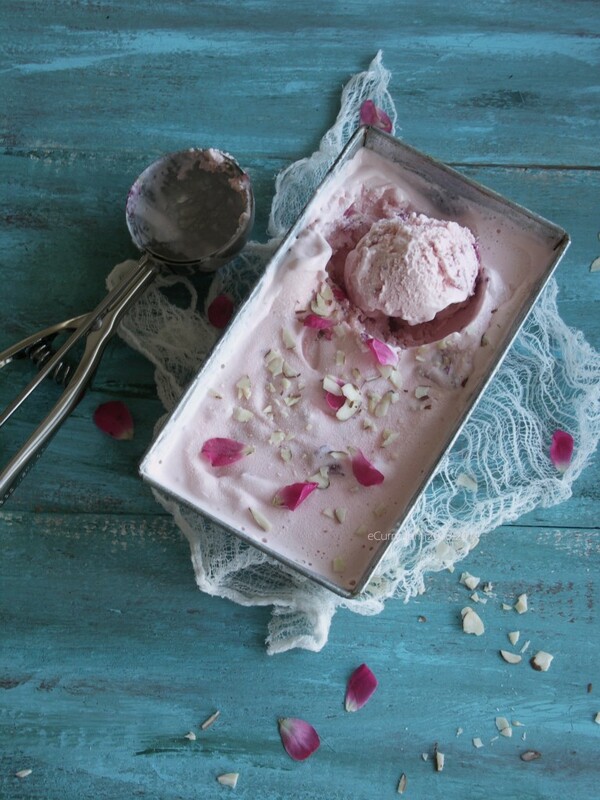 Any summer would become a sweet memory after enjoying this rose ice cream! 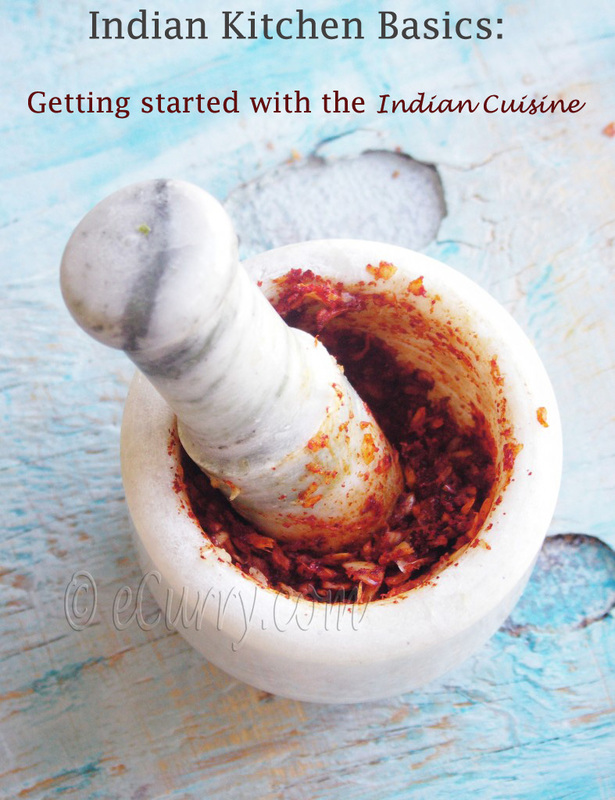 Love this recipe and tempted to try it, but half and half is not that easily available in India. Can you please tell me what can be used instead of it like (100 ml of single cream+100ml of milk) ? The less fat the milk has the more crystals will form in the ice cream. You can use all double cream if available. I am not exactly sure what single cream is… The kind of cream that whips up in peaks in appropriate for ice cream. You can use half double cream and half single cream (assuming that single cream is like half and half here in US), or all double cream. Try not to use milk…. Really nice! Looks delicious. 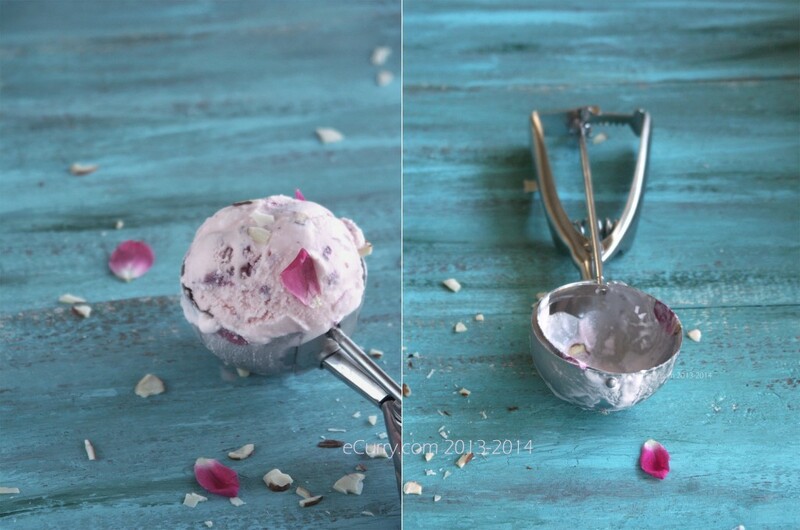 Thanks for sharing this rose flavoured ice-cream. Will this work with dried rose petals ? It should. Try soaking them in cream/milk or crumble them.